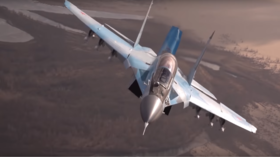 During the flight mission, which lasted roughly ten hours, two White Swans practiced “interaction” with Venezuela’s Su-30 and F-16 fighter jets which shadowed the nuclear-capable supersonic strategic bombers for part of the exercise, in “full accordance” with international laws, the Russian Defense Ministry said in a statement accompanying the spectacular footage. 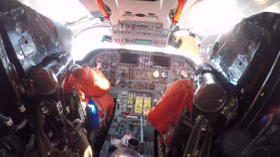 One video shot inside the cockpit shows Tu-160 pilots in orange flight suits and combat helmets taking off from Maiquetia Airport and conducting their drills over the cloudy skies and clear blue waters of the Caribbean. 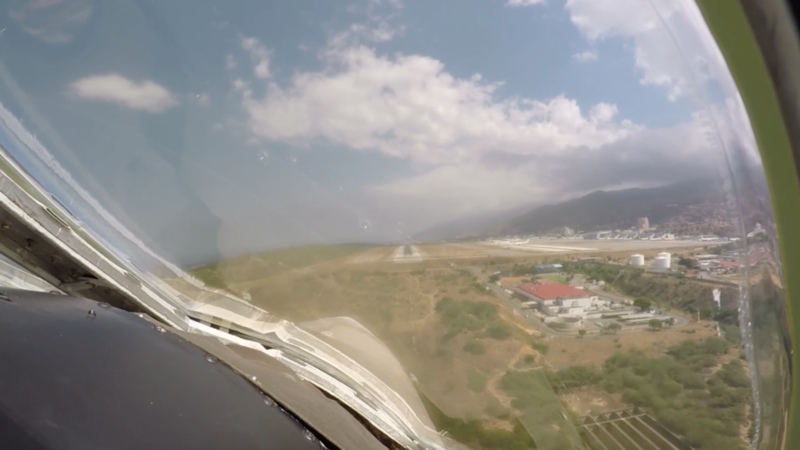 Other footage released by the MoD features the strategic bombers take-off under the cover of darkness and returning to base hours later in rays of sunlight, accompanied by Venezuelan fighters. The arrival of two strategic bombers, nicknamed the ‘White Swan’ in Russia and designated as ‘Blackjack’ by NATO, to Venezuela after a 10,000-kilometer flight over the Atlantic, has angered Washington as an apparent ‘projection of power’ in its backyard, even though the Russian military never mentioned anything related to the US. Caracas in the meantime slammed the US for meddling in its “sovereign right to defense and security cooperation,” especially hypocritical amid Washington’s insinuations about a possible military intervention in Venezuela.